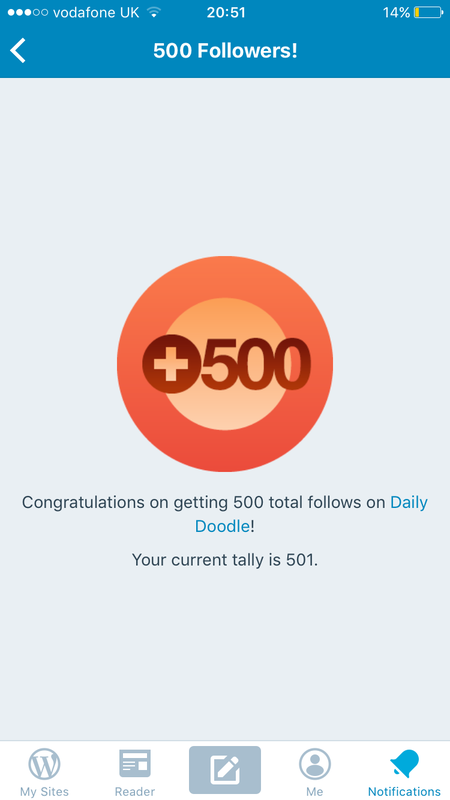 I would just like to say a massive thank you to the 500 lovely people who have stopped by the Daily Doodle and liked it enough to follow! Good art = high numbers of followers. Your art is excellent. You’ve earned every follower.